Teledyne DALSA’s new Linea 16k CLHS line scan camera is the first in the Linea range to utilise the high data transmission CLHS interface. 2 GByte/sec data throughput using a single CX4 cable with long transmission distances and cable flexibility, and an outstanding line rate up to 71 kHz, allow even higher inspection throughput to be achieved. Application areas include pharmaceutical labels and print inspection and flat panel display, printed circuit board and electronic component inspection. 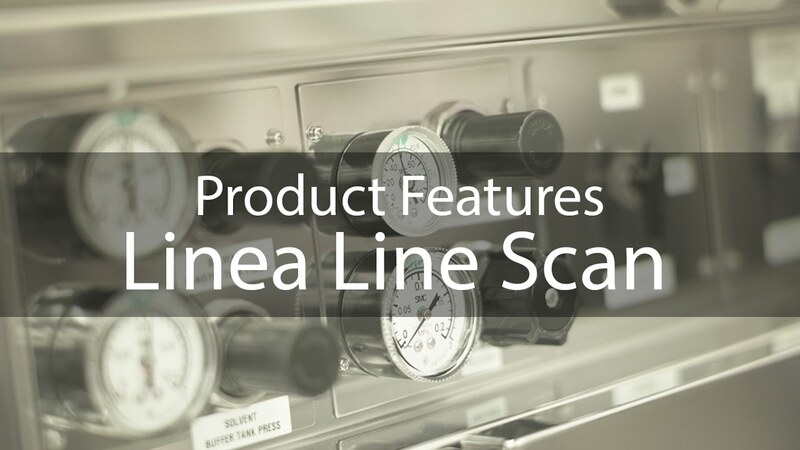 The Linea 16k CLHS is the latest addition to the Linea series of line scan cameras which are packed with advanced features, and deliver superior performance at a low price point. They are specifically engineered for industrial imaging applications. A temperature range of 0 ° C to 65 ° C further extends the environmental conditions in which the Linea 16k CLHS can be used. Like other models in the Linea family, the new camera provides cost-effective solutions for many demanding applications in machine vision. The complete CameraLink HS core is integrated into the camera’s FPGA for cost-effective use of the technology. The camera also supports active optical cables allowing extended cable lengths to be used if required. The camera allows cycling of a user-defined sequence of imaging setups, as well as providing line & frame triggers and image transfer-on-demand. An extremely low trigger jitter of only 3.2 ns, can be sent from the frame grabber to the camera, making the Linea 16 CLHS excellent for line scan applications where high trigger frequencies must be transmitted with little jitter. The Linea 16k CLHS shares many common characteristics with the 16k Linea CL model. It features Teledyne DALSA's own advanced 16,384 pixel resolution single line monochrome CMOS line scan sensor offering a high sensitivity and low noise for high image quality. In addition, multiple regions of interest for independent flat field calibration ensure the best image quality for dissimilar areas in the image. Up to four areas of interest can be selected so that only the important parts of the image are output. By reducing the volume of data that is transferred, processed and stored, costs can also be reduced.